We believe in Jesus Christ as being the truest revelation of God, that he was fully God and fully human, and that we owe our existence as a church to Him. We have discovered that life is better knowing Him personally and we strive to live our lives as he leads us. Our church affirms all the historical creeds and councils of the early church, particularly the Nicene Creed. New Life Church is a Church of the Nazarene. Nathaniel judged Jesus based on simply him being from a town full of “insignificant” people… people nobody every cared about… people who didn’t really matter. The story goes on and Nathaniel realizes Jesus actually is the most important person to ever walk the earth. But That’s what Mr. Bresee really wanted to communicate with our name: We are a church that cares about the “insignificant,” the “unimportant,” the ones people might say, “could anything good come out of them?” It’s just these kind of people Jesus calls his followers to love. 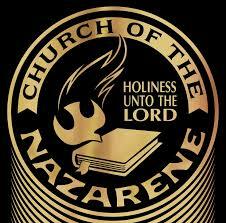 What kind of church is the Church of the Nazarene? We are a Wesleyan-holiness church. We are Wesleyan in that we are greatly influenced by the work and writings of the 18th century Anglican Minister, John Wesley. Wesley taught that there is more to faith than simply membership in a church–that we Christians are called to live a life that is continually formed by the grace of God, and we ought to live that life together. We are a holiness church in that we are committed to being “God’s kind of people.” God has called the church to be his people, and to be a people that is like Him. Thus, we strive to be Christ-like as best we can, and we believe the Holy Spirit works in our hearts to make us like Jesus Christ. We believe that the Old and New Testament Scriptures, given by full inspiration, contain all truth necessary to faith and Christian living. See our articles of faith.